The HOV lanes along I-35E and U.S. 67 are closed project-wide to begin the conversion into reversible non-tolled managed express lanes. I-35E in the Southern Gateway corridor of Dallas is the 17th most congested roadway segment in Texas, according to the Texas A&M Transportation Institute. An estimated 218,000 vehicles travel through the Southern Gateway corridor every day. The Texas Department of Transportation (TxDOT), in collaboration with Texas Clear Lanes Initiative, is reconstructing 11 mi. of interstate to improve safety and provide congestion relief. 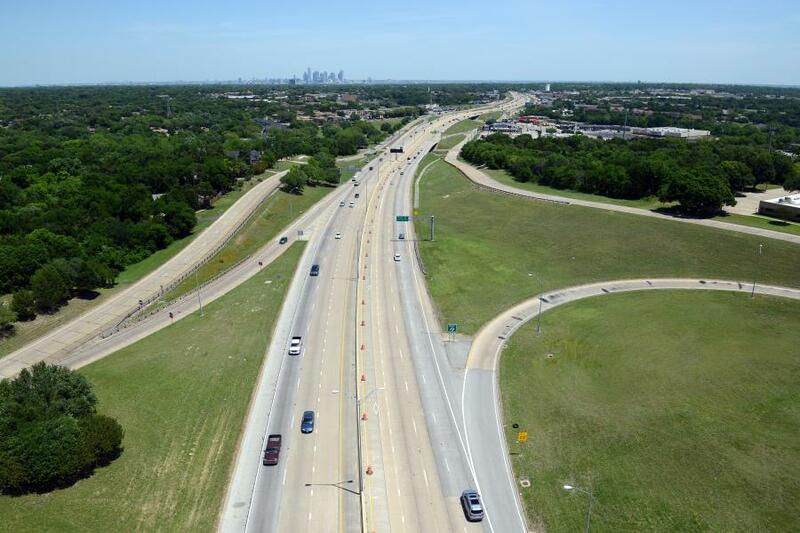 The Southern Gateway Project is a $666 million design-build construction project aimed to rebuild and widen Interstate I-35E south of downtown Dallas, as well as widen U.S. 67 between I-35E and I-20, and the I-35E/U.S. 67 split. In addition to addressing traffic congestion, the rebuild will support traffic operations, address roadway deficiencies and improve system linkage. TxDOT is the principal owner of the project, and Pegasus Link Constructors (PLC) of Dallas is the design-build contractor. Construction began in early 2018 and is slated for completion in 2021. The Texas Clear Lanes initiative is designed to address Texas' most congested highways, using funding from Proposition 1, approved in 2014 by 80 percent of Texas voters, and from Proposition 7, approved by 83 percent of Texas voters in 2015 for non-tolled transportation projects. The $666 million, 11-mile Southern Gateway project includes $260 million in Clear Lanes funding. Segment 1 covers I-35E from Colorado Boulevard to south of the I-35E/U.S. 67 split. The design for this segment includes reconstruction of the eight existing main lanes, adding one lane in each direction to create 10 total main lanes. The existing single reversible HOV lane will be converted to two reversible non-tolled express lanes that may be utilized by both single and high-occupancy vehicles. Crews will also reconstruct the discontinuous frontage roads and add new frontage roads. Segment 2 spans U.S. 67 from the I-35E/U.S. 67 split to I-20, widening the existing pavement to accommodate an additional main lane in each direction, for a total of six main lanes. The two concurrent HOV lanes will be transformed to one reversible non-tolled express lane that may be utilized by both single and high-occupancy vehicles. Closures of the HOV lanes will last the duration of the Southern Gateway Project. 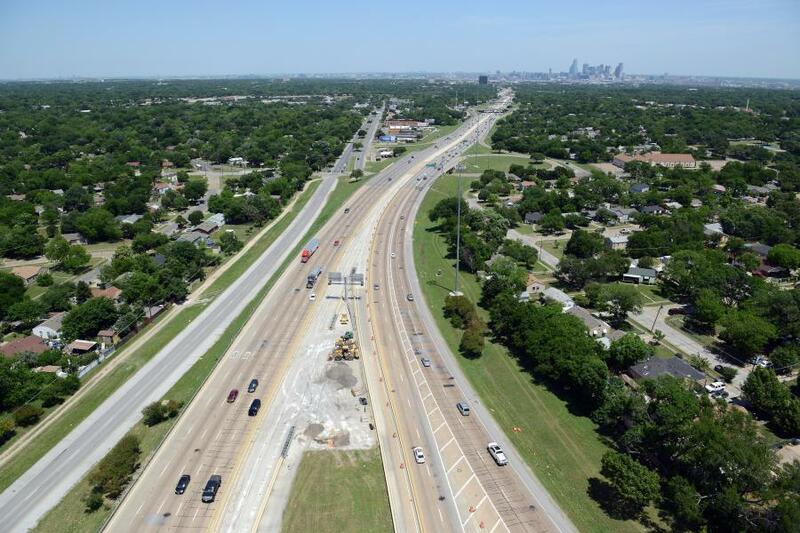 Upon project completion, the lanes will re-open as reversible non-tolled managed express lanes with new entrance and exit locations along I-35E and U.S. 67. The lanes will be available to both single occupancy and high occupancy vehicles. The project's design and construction management, Pegasus Link Constructors, is comprised of two of the world's largest, most experienced design-build firms: Fluor Enterprises Inc. and Balfour Beatty Inc. Their successful 15-year partnership has resulted in various low-cost/high value design-build projects in Texas over the last decade, including successful planning, development and financing of such major highway and infrastructure projects as the Dallas Horseshoe Project in downtown Dallas, State Highway 130 in central Texas and State Highway 161 in North Texas. Structural elements and accommodations for the city of Dallas' planned deck plaza between Ewing and Marsalis Avenues.